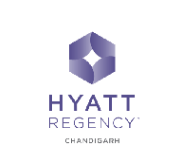 January 25, 2017 –To commemorate the 68th Republic Day of India, Hyatt Regency Chandigarh will be inviting all in house residents and patrons to a Flag hoisting ceremony at the hotel Port Cochere at 0900 Hrs. The flag would be hoisted by Puneet Baijal, General Manager. This would be followed by a lavish Indian Brunch at Urban Café at a special price of INR 1200 plus taxes per person. The live telecast of the Republic day parade will be shown at Browse along with morning tea. The hotel will showcase the variety and grandeur of Indian food of all four regions i.e. North, East, West and South of India. As a special gesture, for senior citizens of 60 years and above, the hotel will be offering a discount percentage equivalent to their age. Puneet Baijal, General Manager said “Elders are the foundation, the plinth of our nation. Our value system, ethics, and integrity is ingrained by them. We owe our success to the blessings of our elders and this is our manner of recognizing their contribution in our lives”. The Hyatt Regency brand prides itself on connecting travelers to who and what matters most to them. More than 160 conveniently located Hyatt Regency urban and resort locations in over 30 countries around the world serve as the go-to gathering space for every occasion – from efficient business meetings to memorable family vacations. The brand offers a one-stop experience that puts everything guests need right at their fingertips. Hyatt Regency hotels and resorts offer a full range of services and amenities, including notable culinary experiences; technology-enabled ways to collaborate; the space to work, engage or relax; and expert planners who can take care of every detail. For more information visit www.hyattregency.com. Hyatt Hotels Corporation, headquartered in Chicago, is a leading global hospitality company with a proud heritage of making guests feel more than welcome. Thousands of members of the Hyatt family strive to make a difference in the lives of the guests they encounter every day by providing authentic hospitality. The Company's subsidiaries develop, own, operate, manage, franchise, license or provide services to hotels, resorts, branded residences and vacation ownership properties, including under the Park Hyatt®, Grand Hyatt®, Andaz®, Hyatt Regency®, Hyatt Centric™, Hyatt®, Hyatt Place®, Hyatt House®, Hyatt Ziva™, HyattZilara™, Hyatt Residence Club®, Hyatt Residences® and The Unbound Collection by Hyatt™ brand names and have locations on six continents. As of December 31, 2015, the Company's worldwide portfolio consisted of 638 properties in 52 countries. For more information, please visit www.hyatt.com.